Maritime Vinyl: Dr. Ebbett's Sound Systems - RE-INTRODUCING what The Beatles on CD SHOULD sound like! Dr. Ebbett's Sound Systems - RE-INTRODUCING what The Beatles on CD SHOULD sound like! Blog post by Keltie Harding for Maritime Vinyl. Since first being released on CD in 1987, The Beatles' catalog on CD has been much discussed and much maligned. 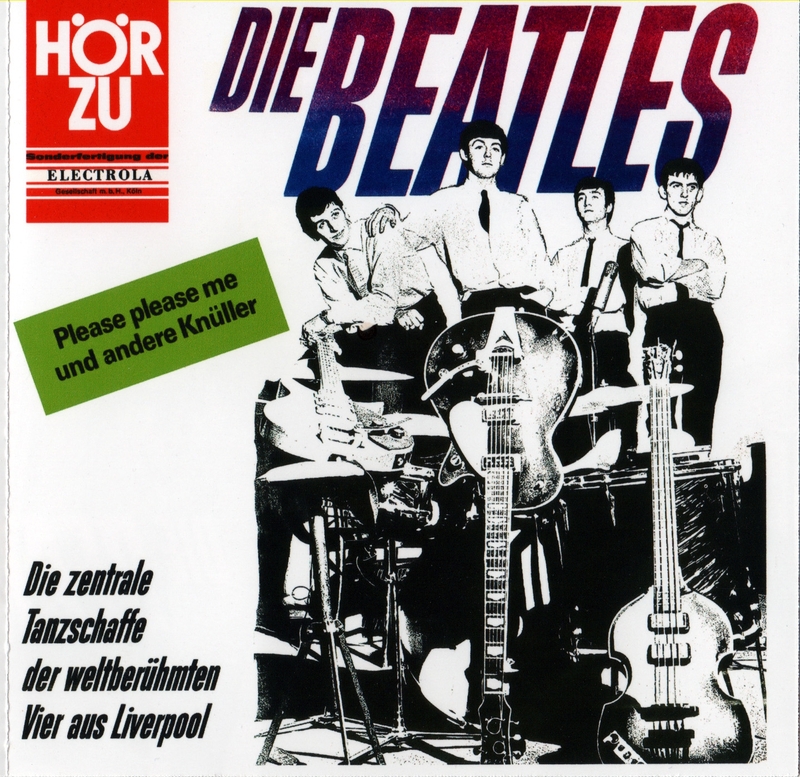 Some examples were mono used where stereo was easily available, poor mastering (listen to the original mono "With The Beatles" on headphones,) digital remixes. It was a mess. 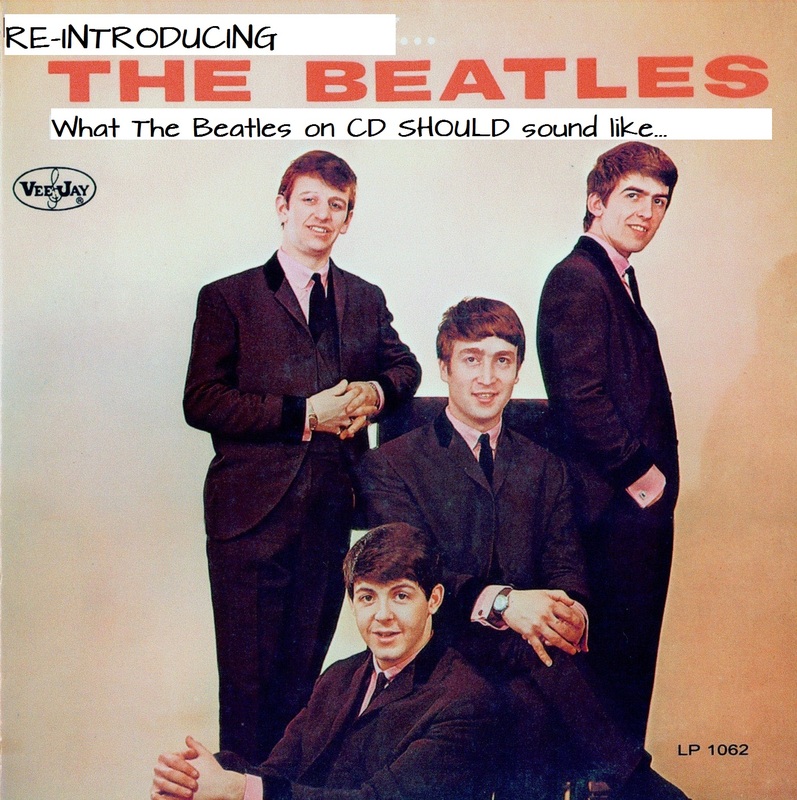 Later CD releases such as the "Red" and "Blue" compilations and "The Beatles 1" all were at the mercy of over-zealous engineers using digital noise reduction. For years fans complained about the poor representation of the Fabs on CD. So fans turned to their dusty old LP for comfort, while some fans discovered "needledrops". In the 1990's, vinyl-to-CD transfers (aka "needledrops") of original Beatles releases began appearing on the collector's and trading circuit. "Companies" such as Mirror Spock, Millennium Remasters and Original Master Recordings all issued CD versions of Beatles vinyl LP's with very good results. But the very best of these needledropped LP's are the series of CD's produced by "Dr. Ebbett's Sound Systems". 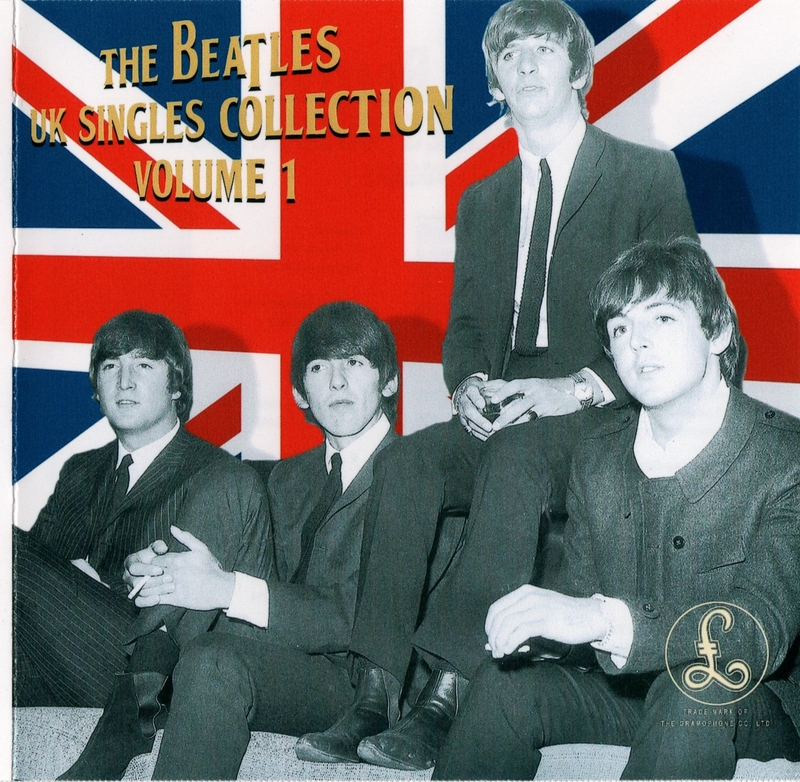 In 2009 the state of the Beatles' CD catalog has been remedied "somewhat", by the official remastered CD editions. While some fans feel that these remasters were well done, others feel these new remasters lack some of the magic in the music. Again, fans are looking to the needledrops, and again to Dr. Ebbett's. 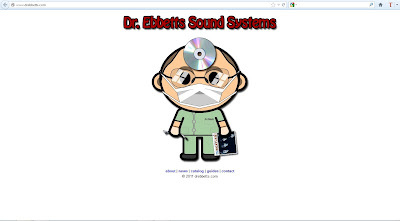 Dr. Ebbett's Sound Systems (also known as DESS, Doc E. or just Ebbett's) were (for their time, and STILL are) the best sounding versions of Beatles needledrops (IMHO). Since the release of the newest EMI remasters, Doc. E has ceased production of his titles. But they are still floating around and can be had easily if one knows where to look. The Doc took much care in his vinyl transfers, often using unplayed or stone mint vintage pressings for his transfers, and using high end equipment, such as a Thorens* turntable. His CD's were initially manufactured on CD-R with printed black & white thermal label artwork, and later, colour thermal printing and in some cases, actual silver pressed CD's. All of his releases came with full colour inserts, faithful to the original LP sleeves. For 14 years, the Doc's work was the best out there. 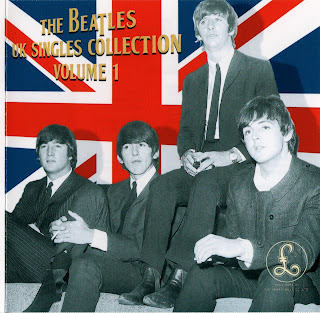 DESS has released well over 100 titles by The Beatles alone, and while there is much duplication of titles (stereo pressings, mono pressings, first edition pressings, later pressings with different mixes, etc...) each particular issue has its merits. If its a Beatles title on vinyl, Dr. Ebbett's probably has released it. The Doc has released the UK titles in both stereo and mono configurations, and the same goes for the exhaustive US titles. DESS has also released some "original" Beatles titles, comprising of complete collections of singles releases and unreleased recordings (ok, some are technically bootlegs but are very well done) and even transferred some unique import pressings. The best thing about DESS titles is that the Doc has "almost" never used any noise reduction or sonic manipulation* on his titles, letting the sound of the original vinyl sources speak for themselves. For the "bootleg" style releases, the Doc used the best possible sources available at the time. The first round of DESS titles came with the release of the stereo "Mobile Fidelity Sound Labs" (MFSL) pressings on CD. While many audiophiles praised the MFLS vinyl releases, some complain about the sound being too "bright". Doc E. also released the UK albums in their original artwork, but used his MFSL rips. Doc E. eventually replaced his UK stereo album configurations with true rips of the UK Parlophone & Apple pressings, and added the UK mono releases to the DESS canon. One of the highlights was the issue of the original first UK mono pressing of "Revolver" which contained the "original" incorrect mix of "Tomorrow Never Knows". These first vinyl pressings of Revolver were recalled by EMI (after George Martin discovered the error) and re-pressed with the "standard" (common) mono mix of "TNN". The second major wave of DESS releases were of the US catalog, in both stereo and mono configurations. One of the highlights of the US DESS issues were the release of the "Dexter" version of the US Rubber Soul*. 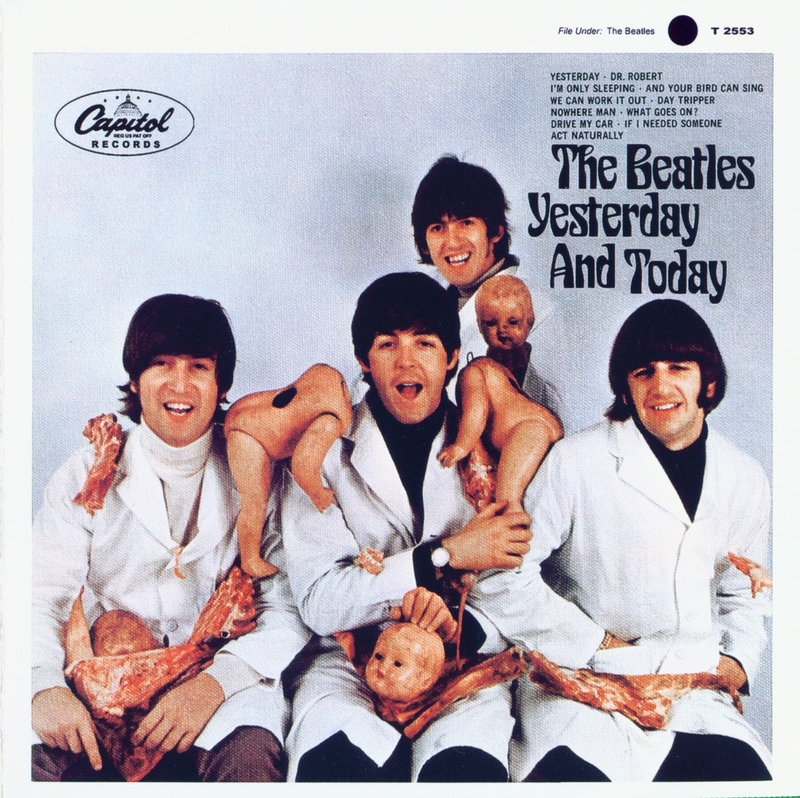 "Yesterday...And Today" saw 6 (yes, 6!!!) seperate issues, one mono, one original stereo pressing (which featured fake stereo mixes) and an all-true stereo pressing (pressed in the mid 70's.) in addition to issues featuring the recalled "butcher" cover. * The "Dexter-ized" version of Rubber Soul (aka the "east coast" pressing, meaning it was pressed by Capitol's Scranton, PA plant) is different than the common US stereo mix of Rubber Soul. Dave Dexter Jr. was the man responsible for "compiling" the Beatles' recordings for US release. He also saw fit to re-master tapes with additional reverb and compression for the US pressings. When preparing Rubber Soul for US release, in addition to altering the track line up, he added an extra layer of reverb for the stereo release. 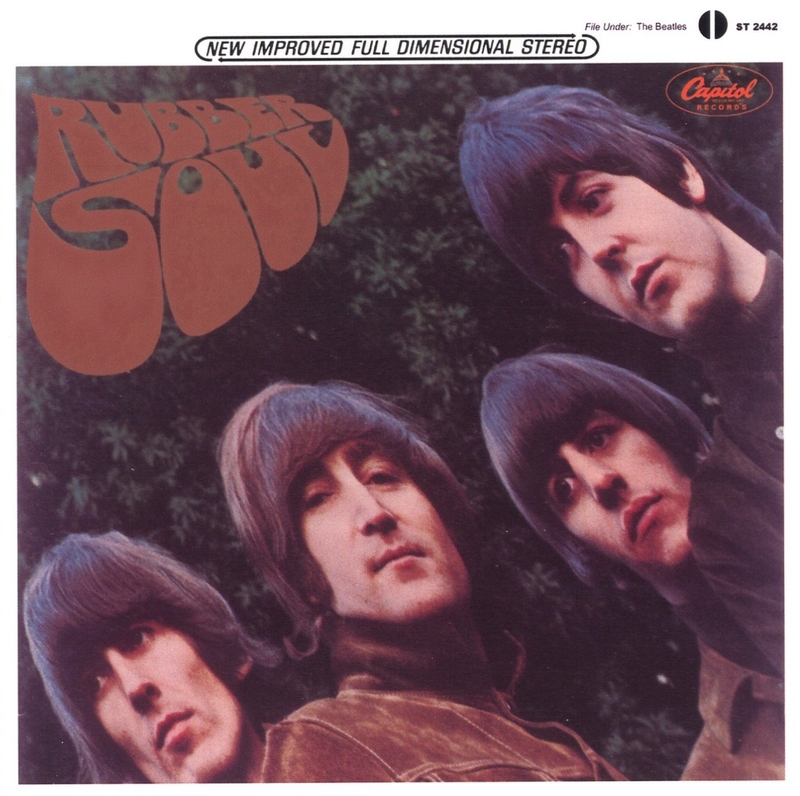 This particular version was pressed and released initially, but was subsequently replaced with the dry mixes heard on standard US stereo copies of Rubber Soul. The DESS issue of the "Dexter-ized" Rubber Soul has slightly different artwork to set it apart, most noticeably the white "new improved full dimensional stereo" banner at the top of the front cover. DESS Artwork for US "Dexterized" version of "Rubber Soul"
Doc E. also decided to document the early Vee-Jay album releases (long out of print) in his reissue campaign. 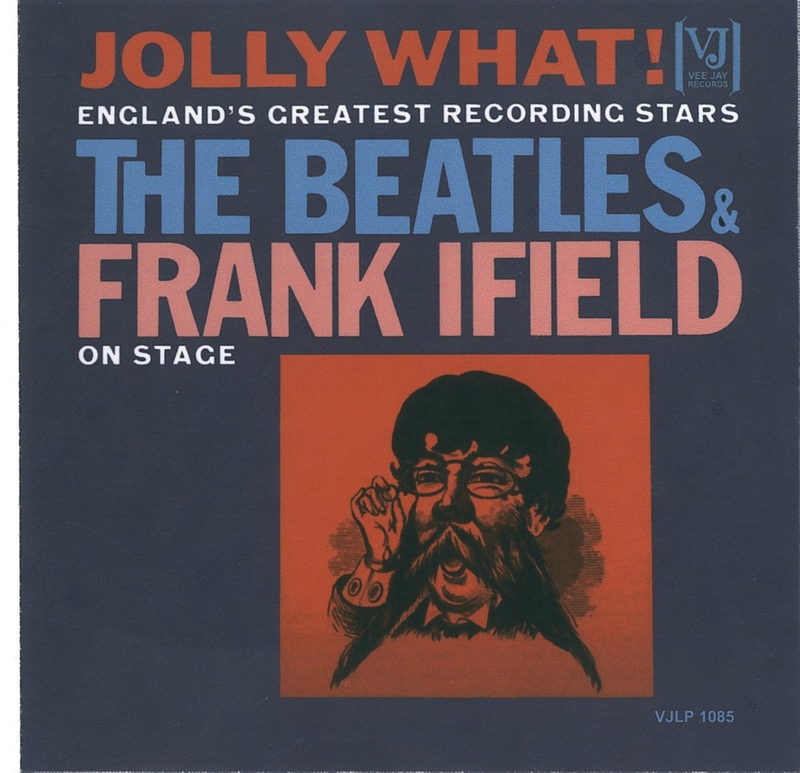 So Vee-Jay albums such as "Introducing The Beatles" and "The Beatles And Frank Ifield On Stage" (NOT a live album, by the way) saw release, in stereo (when they were originally pressed as such) and mono configurations. Original LP artwork for Jolly What! - As it looks on the DESS insert. 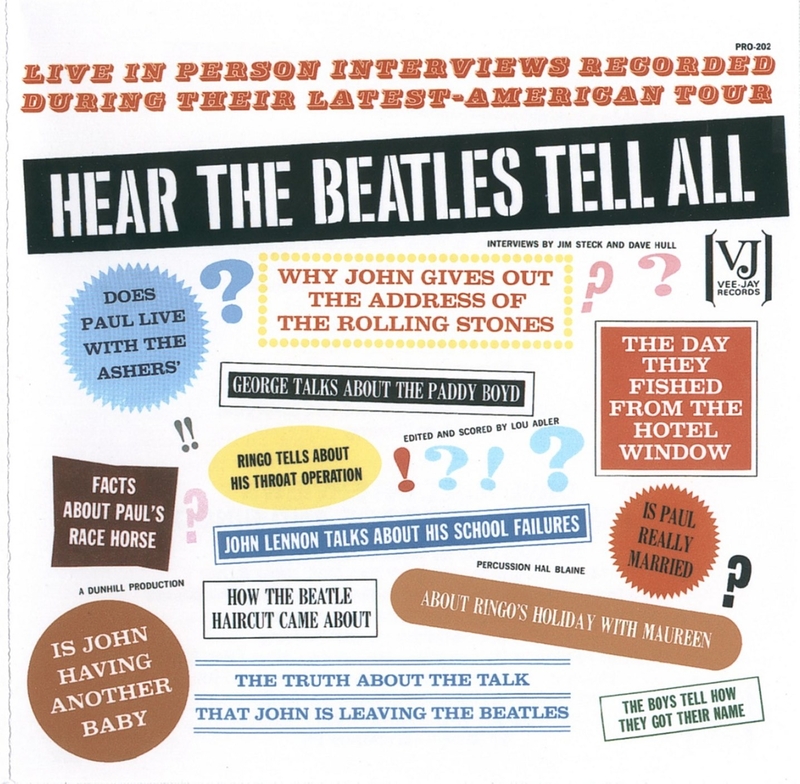 VJ Interview LP from 1964, with percussion by Hal Blaine. He also saw fit to release the 3 Canadian Capitol albums as well. Again, the 60's original pressings were used, but he also released one of the best versions of the "With The Beatles" album ever pressed. The much desired "wide stereo" Capitol of Canada pressing from the late 1970's. (The original Canadian albums were mono only but were eventually presented in stereo starting in the 1970's.) 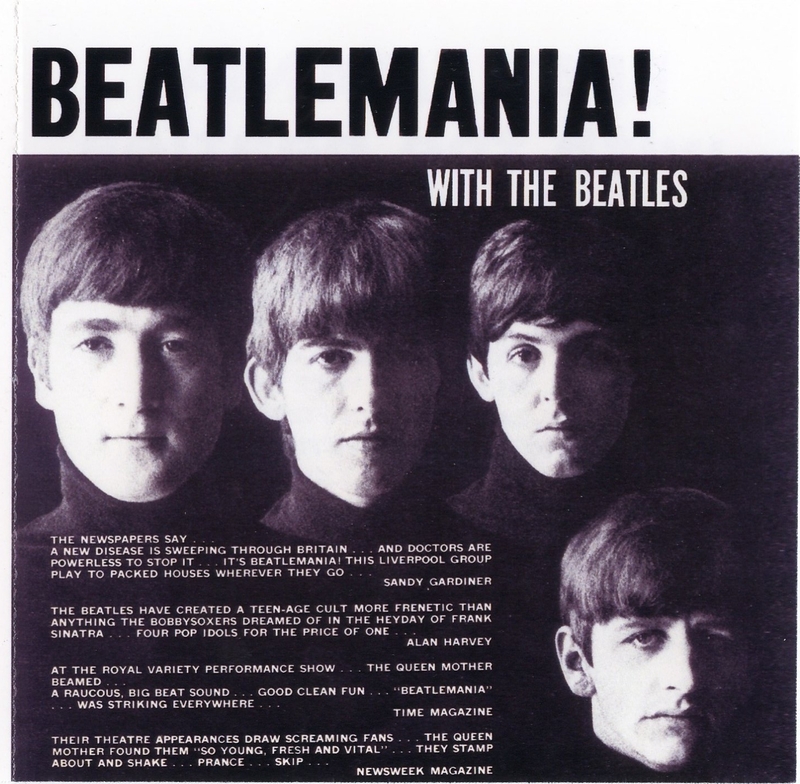 He even released the Canadian Capitol pressing of "Meet The Beatles!" because this particular issue (while with the same art and track listing as the US version) is the only issue with an otherwise unreleased alternate mix of "Don't Bother Me". The next wave of Doc E releases came with the release of the UK "Blue Box" stereo pressings. The "Blue Box" refers to "The Beatles Collection", a boxed set of UK stereo albums, pressed in the late 1970's & housed in a blue box. Many audiophiles feel the "blue box" pressings are the most evenly balanced sounding copies of the UK Beatles catalog. The "blue box" pressings have become the standard versions for the Ebbetts UK stereo releases and one by one replaced his first set of needledrops. DESS UK Singles Collection, Vol 1 sleeve art. As mentioned, Doc E also released some "original" titles, collections that logistically or historically make sense, and what (possibly) would have looked like had they were officially compiled. These are also sought after. He released the complete and best sounding versions of the 1962 Decca audition tapes, "The Decca Audition". He replicated the sound and feel of the (originally rejected & unreleased ) 1964 Hollywood Bowl concert album, using a previously bootlegged source, but following the "acetate" mix as a reference point*, as well as "Last Licks Live", a complete version of the 1969 Apple rooftop show. 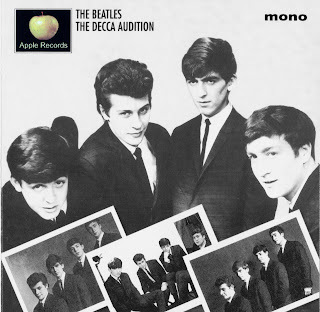 DESS edition of the 1962 Decca Audition. Note the use of the Apple logo! 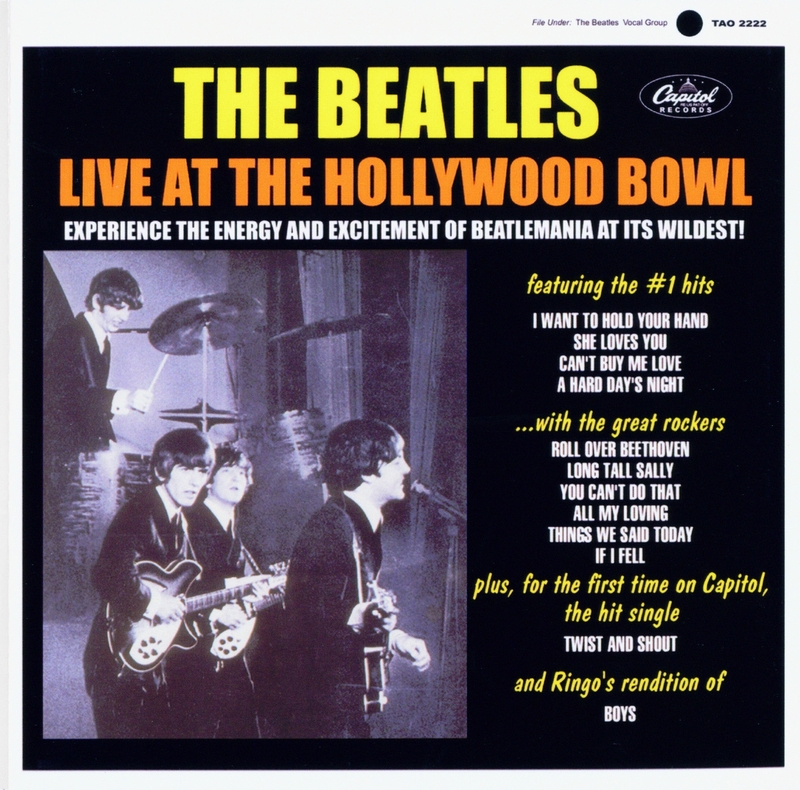 What the unissued 1964 "Live" LP artwork could have looked like. 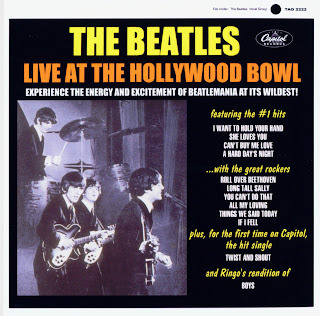 DESS used the sleeve idea Bruce Spizer used in his book on The Beatles on Capitol Records. The "catalog" number (TAO 2222) was the original catalog number given by Capitol for their release, but was never used. The mid 2000's saw the official release of "The Capitol Albums" Vol. 1 & 2 on CD. 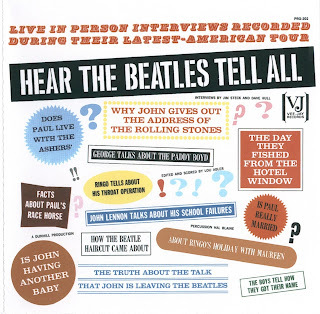 These CD's collected both stereo and mono versions of the US albums, in their US mixes. The sets were nicely put together, but fans thought the sound wasn't as "open" as the original vinyl, so Doc E. continued distributing his US Capitol needledrops. From December 2007 until his retirement, the Doc undertook a major upgrade project. Some titles were re-issued from better source materials, some titles had artwork upgraded (with some discs being printed in full colour thermal printing) and (according to a fan critique of DESS titles) some titles were pressed as actual silver pressed CD's. Doc's last major reissue campaign was the release of the Japanese "red wax" series. These were Japanese pressed albums from the early 1980's on red vinyl & contained the original UK mono mixes. Fans have lauded the sound of these Japanese pressings, claiming they had smoother sound compared to the original UK Parlophone/Apple issues. Again the Doc did wonderful sounding transfers. When the announcement was made that EMI was re-vamping the entire Beatles CD back catalog, Doc E. announced that he would cease production of his vinyl rips, claiming that these were going to far exceed his versions in quality. In one of his last mass-emails to his customers, he noted he had heard samples of the remasters and said "They are good. Very Good..." However, some fans find the new remasters sounding "squashed", somewhat compressed and not as "open" as the original vinyl pressings. Plus some tape damage has appeared (noticeably on the stereo version of "A Hard Day's Night") which only made fans seek out Doc E's transfers for better versions. Doc E. may not ever release another title, and his needledrops may have been pre-"high rez" (as most newer fan-created needledrops are recorded in high resolution digital), but they certainly are the cream of the crop and his output has not been duplicated. The Doc showed us how good vinyl transfers can sound, when done with care, with the right sources, and the right gear. Recently there has appeared online an "unofficial" Dr. Ebbett's webpage, an entirely fan created entity. This site is very well done with full scans from the Doc's artwork. The site can be found at www.drebbetts.com. Also, www.thebootlegzone.com has a full listing of the Ebbett's titles, with scans and many with user comments. Both sites are essential and downright fun to check out. Personally, I love the DESS series and often go back to them rather than the official CD's. Like many Beatle People, I already own the CD's and all the UK and US vinyl that I need. I'm not saying that you should ONLY go with the Ebbett's rips, but you have a choice. (EMI has gotten lots of my money over the years, so I feel a bit justified in owning the Ebbett's titles, none of which I paid for. I got them all via trading with other likeminded collectors.) With DESS I am getting clean high quality digital sound of true, warm analog sound. The best of both worlds for me. Seek out a title or 2 and give them a listen. You won't be disappointed!